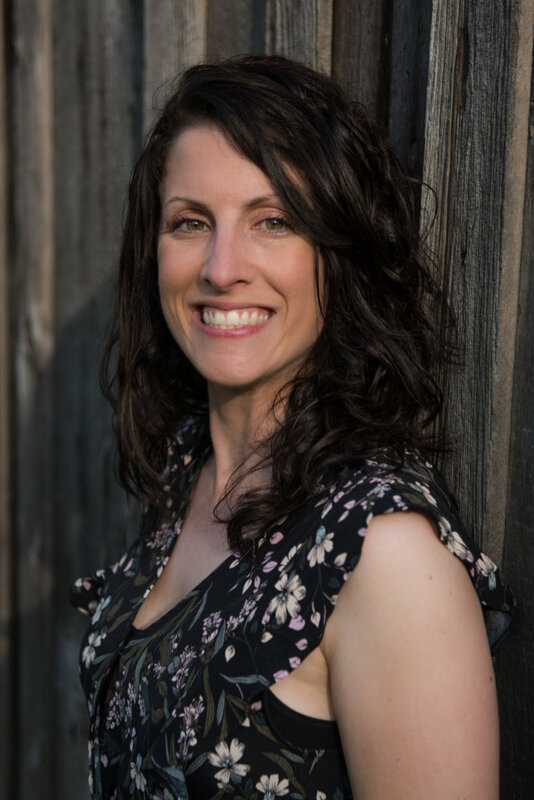 Sarah Schlote, MA, RP, CCC, SEP is a Registered Psychotherapist, Canadian Certified Counsellor and Somatic Experiencing® Practitioner who has completed extensive post-graduate training in the field of trauma treatment and trauma-informed care. Supplementing her trauma-focused master’s degree in Counselling Psychology is a long-standing interest in animal-and nature-based approaches that focus on the human-animal bond. For Sarah’s updated professional CV, click here. Various workshops and presentations by Dr. Daniel Siegel (Interpersonal Neurobiology), Dr. David Berceli (Trauma Release Exercises), Dr. Gabor Maté, and presentations featuring principles drawn from Bodynamics, Bioenergetics and other models. For a more complete list of trauma trainings and conferences attended, please click here. Sarah’s background in the field of animal-assisted therapy includes volunteering with the St. John Ambulance Therapy Dogs, volunteering for national committees involved in the development of standards and ethics for the fields of animal-assisted therapy and equine-facilitated wellness in Canada, coordinating The Natural Connection (a comprehensive online directory for animal- and nature-based interventions, programs, trainings and resources, no longer active), conducting her master’s thesis on the state of the field in Canada, and incorporating her dogs in therapy sessions. Her interest in a trauma-informed approach to equine-assisted work led her to train with Deborah Marshall at Generation Farms in Nanaimo, BC. 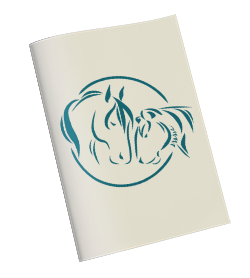 Deborah’s approach, Integrative Equine-Facilitated Wellness, draws from the neuroscience of trauma and mindfulness, and incorporates principles and perspectives drawn from Dr. Peter Levine, Dr. Robert Scaer, Dr. Pat Ogden, Dr. Daniel Siegel, Dr. Eugene Gendlin, Dr. Jon Kabat-Zinn, Babette Rothschild, as well as the ecopsychology work of Jon Young, Richard Louv, Michael Cohen and others. It also incorporates elements from Linda Kohanov’s Eponaquest Approach, relational horsemanship and liberty work. 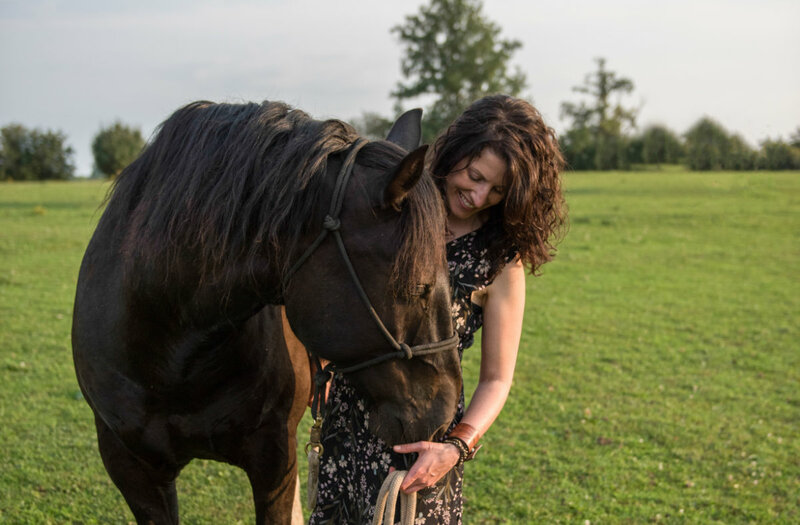 More recently, she completed the Fundamentals of Natural Lifemanship training with Bettina Shultz-Jobe and Tim Jobe, about Trauma-Focused Equine-Assisted Psychotherapy. This model is grounded in the neurosequential development and neurobiology of trauma work of Dr. Bruce Perry, as well as in attachment theory applied to both horse and human relationships. Sarah has attended a variety of animal- and equine-assisted therapy conferences over the years as well, including the Power of the Horse (CanTRA/EAMH, BC, 2007), the International Society for Anthrozoology Conference (Toronto, 2008), the Humane Education Conference (Green Chimneys Children’s Center, New York, 2011), and the International Symposium for Equine Welfare and Wellness (Germany, 2018). A former volunteer for The Donkey Sanctuary of Canada, she is an avid student of horsemanship from a variety of approaches, drawing mainly from the fields of natural horsemanship, liberty work, ethology, and equine behaviourism. You will also receive regular news & updates. Your information is always safe. Trauma disrupts our ability to perceive safety, shapes our identity, and creates difficulty with connection in relationships with both self and others. Trauma-informed modalities are trending toward addressing three key channels of humanity in order to optimize healing; bottom-up, top-down, and relational. Somatic Experiencing paired with equine-assisted learning addresses all three. Healing comes with new lived experiences in the here-and-now that support integration within and between these channels. Horses are highly sensitive, relational beings that thrive on connection. They mirror our inner states without judgment or interpretation, so interacting with them through carefully crafted exercises can help us reclaim connection with ourselves while simultaneously connecting with another. Somatic Experiencing helps us reset the nervous system’s threat response cycle so we can self- and co-regulate, register a sense of wellbeing, and restore empowerment. Somatic Experiencing provides a gentle and powerful mind/body approach to trauma resolution. Working in a natural, non-office, setting provides a “world” of resources to weave into sessions. The responsive presence and participation of the horse(s) in session provides an amazing connection to the client’s experience. They are agents of physiological change: as a mediator and expression of escalation and calming. the Schlote Psychotherapy Professional Corporation.